Breitling's first boutique in India has many delights for the discerning horophiliac. In the zealous kinship of Swiss luxury watch brands, Breitling is the rebel child. Where others seek mere success premised on calculated brilliance, Breitling thrives on the adrenaline rush of adventure punctuated by boldness. Driven by a legacy of aeronautics and aviation, the creator of unapologetically rugged timepieces recently launched its first boutique presence in the country at Quest Mall in Kolkata. Predictably, there are airplane references littering the store, evoking the surreal feeling of sitting in a cockpit doused in a splash of yellow. 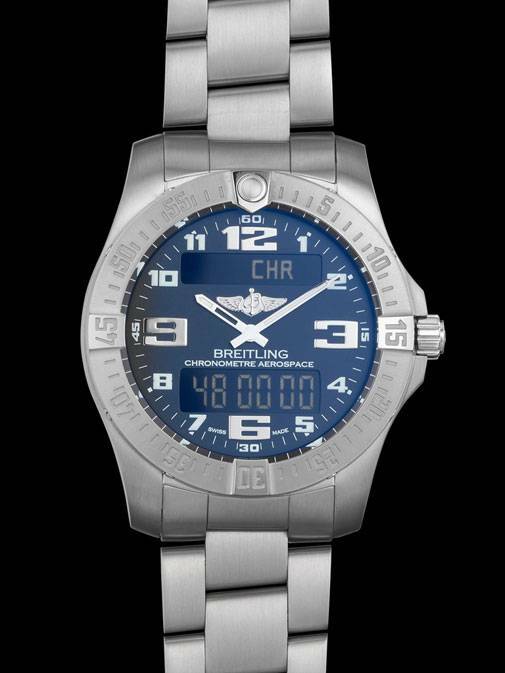 It's the same hue of chrome on Breitling's brand new, revamped Emergency. Forming the cornerstone of a strong and centred brand identity is the tradition of Wingwalkers. The most remarkable component of the real-time experience of the brand is it's acrobatic excellence. Stylistic loops, flips and turns in mid-air, synchronised steps and gliding movements are the mainstays. Guests the airshow even have the opportunity to be in the thick of things by boarding one of these beauties and experiencing the rush. Sales Manager (India and Middle East) Aed Adwan says, "when you look at Breitling over the years, you'll see that our DNA has remained the same. It has always been about aviation chronographs. This gives a clear message to the consumer that we're doing what we're saying-we're not just talking about aviation but also living it with our wingwalkers." The same can be said for their global brand ambassador, the hunky John Travolta. He's a certified pilot with a killer smile. The idea is to deliver a message to the customer about Breitling's uniqueness through a 360 degree brand strategy that focusses equally on the mode of presentation, adds Adwan. As the brand gears up to reach the mark of 40% in-house movement, take a look at the two top beauties that caught our attention. The Aerospace Evo is a multifunction chronograph in satin-brushed titanium. A nifty accessory for pilots, the snazzy crown can be rotated or pressed for the second set of functions. The SuperQuartz movement of Breitling Calibre 79 has a digital calendar with the day and date programmed for four years. The titanium case and Professional III strap lend an intense quotient to the classic shape of the watch offset by the Mariner Blue dial. The quarter marks are chunky, just the way we like it, and ensconced in a no-fuss unidirectional bezel. The piece is no feather with a weight shy of 47 gm without the strap. In a departure from the interpretation of the Bentley grille on a bezel, the Bentley Flying B Chronograph resonates with the elegance of a jewellery watch. The self-winding timepiece with a movement of Breitling Calibre 44B uses a total of 38 jewels. 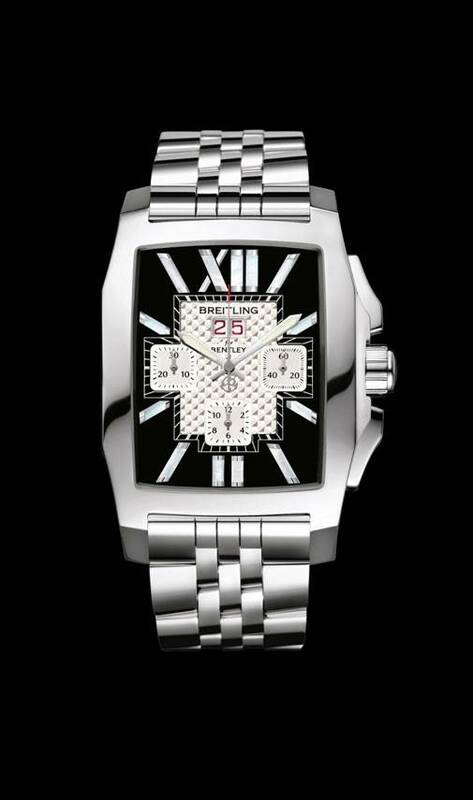 The streamlined shape of the Bentley comes through in the cambered rectangular case within which is nestled the royal ebony dial. The hour-markers are adorned mother-of-pearl inlays reminiscent of Bentley's characteristic boldness. The large aperture calendar adds to feel of the glamorous dial characterised by a guilloche centre interspersed with three square windows. These two trend setters are just the tip of the iceberg, head to the boutique for the full picture.